How do I disable WordPress comments? One of the most frequent questions we hear is, “How do I disable WordPress comments?” While it’s not complicated, it’s also not quite as straight forward as it seems. 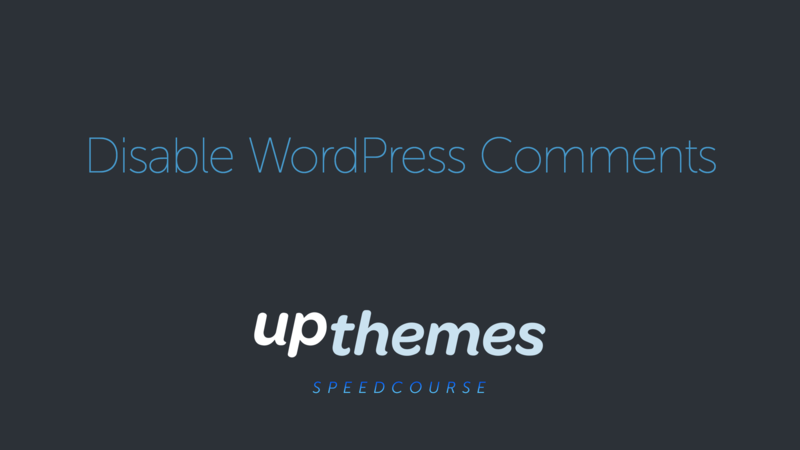 We’ve created this video Speed Course to show you how to enable and disable WordPress comments, bulk disable and individually turn them on/off for pages and posts. Click the Screen Options tab and under the “Boxes” heading make sure that the Discussion option is enabled. Scroll down the page until you see the Discussion metabox, then disable the Allow Comments option. Update the post and that’s it, comments are now disabled for this post. In your admin sidebar go to Settings → Discussion and in the “Default article settings” section disable the Allow people to post comments on new articles option. Click the Save Changes button and that’s it, now by default new posts will have comments disabled. In your admin sidebar go to Posts → All Posts. Click in the box to the left of “Title” to select all posts. Set the Bulk Action drop-down menu to “Edit”. In the panel that opens set the Comments drop-down menu to “Do not allow” and click the Update button. That’s it, now comments have been disabled for all currently existing posts. 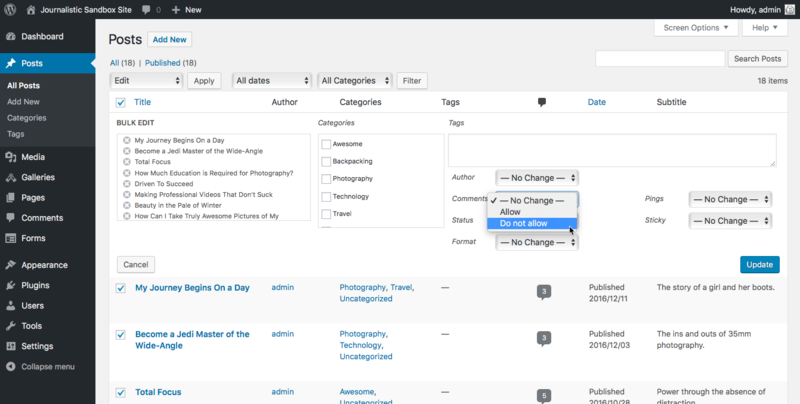 Comments on pages are disabled by default in WordPress 4.3+, however should you need to disable comments for a page it is the exact same procedure as described above under the Disable Comments on Single Posts heading. You can also use the bulk edit technique described above under Bulk Disable Comments with pages. The sample website used in the video is our Journalistic theme demo.